The misery of being in a car accident is already unbearable without having to handle the legal consequences that follow it. Luckily, by getting a ttrucking accident lawyer, Galveston, Texas motorists can rest easy knowing they’re protected by a professional. Camberg Law Firm is composed of attorneys who have extensive experience in personal injury, commercial, probate/guardianship, and drug pharmaceutical litigation. Truck accident lawyers from Camberg Law Firm near Galveston, Texas focus on personal injury litigation, specifically car accidents wherein a truck crashes into another vehicle. This is especially useful since many trucks are owned by large companies or the government. By getting a truck accident lawyer, Galveston, Texas residents are working with a professional who knows who exactly should be held accountable. Apart from our legal knowledge, our truck accident lawyer in Galveston, Texas can physically represent clients in court., Contacting your truck accident lawyer in Galveston, Texas is one of the first things to do after a road accident with a truck. We’ve all seen cases where the court rules in favor of the defendant simply because the plaintiff didn’t have a solid legal strategy. Luckily, with a trucking accident lawyer, Galveston, Texas residents can create the legal strategy they need to obtain a favorable outcome. In line with this, when choosing a truck accident lawyer, Galveston, Texas residents should only work with reputable and established firms such as the Camberg Law Firm. Empathy: A good truck accident lawyer in Galveston, Texas is one that can empathize with clients. When it comes to personal, professional service of truck accident lawyers, Galveston, Texas residents can rest easy knowing we will go the extra mile to learn your case. Knowledgeable: When in court, your truck accident lawyer in Galveston, Texas can either make or break your case. There’s nothing worse than having an incompetent truck accident lawyer in Galveston, Texas represent you while you’re suffering from physical injuries and emotional distress. Luckily, Camberg Law Firm is leading lawyers in the state. 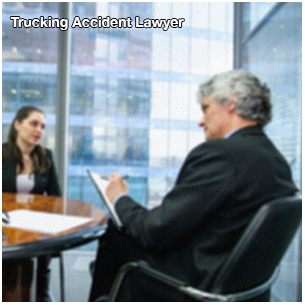 Experienced: It’s best to work with experienced truck accident lawyers. Galveston, Texas residents can breathe a sigh of relief since Camberg Law Firm has represented multiple clients over the course of our business. When it comes to getting an experienced trucking accident lawyer, Galveston, Texas residents can count on us! Established: Camberg Law Firm provides exceptional legal services, including providing clients with a competent trucking accident lawyer. Galveston, Texas clients will be pleased to know that we have recovered millions of dollars in compensation through our competent lawyers. We ensure that we have the truck accident lawyer Galveston, Texas residents need to get their needed legal compensation –whether in or out of the courtroom. For more information on the achievements of our truck accident lawyer in Galveston, Texas, check out our website! Contact a Trucking Accident Lawyer in Galveston, Texas Today! Whether you were recently involved in an accident or not, it’s best to get in touch with a truck accident lawyer. Galveston, Texas residents who regularly communicates with their lawyers are better protected than those who don’t have a trucking accident lawyer in Galveston, Texas. For professional legal help, check out Camberg Law Firm. Visit our website for more information about our legal services. When it comes to getting sound legal advice and seeking legal aid, you should only trust the established professionals. Camberg Law Firm is dedicated to providing professional yet personal legal services to every client. We focus on personal injury, business/commercial, probate/guardianship, and dangerous drugs/device litigation. Camberg Law Firm was founded by Attorney Roy Camberg, dedicated to providing professional legal advice to each client that contacts his firm. Roy Camberg was born in South Africa. He received his Bachelor’s Degree in Marketing from the University of Texas at Austin. Afterward, he obtained his Doctor of Jurisprudence at the University of Houston Law School. It’s worth mentioning that he finished at the top 20% at each institution. Today, he is an exceptional attorney and is in fact among the very few professionals certified in Personal Injury Trial Law by the Texas Board of Specialization. In addition, he is also board-certified by the National Board of Trial Advocacy and is a member of the exclusive Million Dollar Advocates Forum, The Top Trial Lawyers in America. The law defines personal injury as any type of physical or psychological harm caused by the intention or recklessness of another party. In layman’s terms, personal injury is present if a victim feels harmed, whether intentionally or by accident. Whether you’re the plaintiff or the defendant in a business dispute, our firm and commercial litigation attorneys are here for you. While it’s ideal for business disputes to be settled privately, there will be times when a middleman, the court, is needed to arrive at an objective decision. Some reasons you might want to get in touch with a business/commercial litigation attorney include breach of contract, fraud and misrepresentation, deceptive trade practices, and bad faith insurance practices. Camberg Law Firm is able to address both the probate and guardianship legal cases. Probate is the legal process needed to settle a decedent’s estate. This includes appointing a representative and distributing the deceased’s estate to the rightful heirs and beneficiaries. Prescription drugs and devices should bring relief to a patient, not pain. If you are the victim of drug company irresponsibility, then you should immediately contact us to seek legal justice. Camberg Law Firm is committed to assisting patients who have suffered from defective prescription drugs and devices. In fact, apart from working hard to help you get the legal compensation you deserve, we will immediately investigate your case to prevent similar incidents from happening to anyone else. For example, patients who experienced excessive or uncontrollable bleeding, or even a heart attack, after taking a specific brand of medicine should immediately contact us so we can prevent any potential injuries to other users. For more information on our achievements and presence in the news, feel free to check out our resources page. For professional yet personal legal services, turn to Camberg Law Firm today! Whether you were involved in a road accident or are the victim of medical malpractice, we will take the time to listen to your every need. You can call our local number 281-486-6900 or our toll-free number 800-922-9775 to schedule a free case evaluation. The Camberg Law Firm, P.C. has represented clients in Personal Injury, Business Litigation and Probate/Guardianship cases throughout the state of Texas for over 20 years. Our firm was founded upon the belief that legal representation should be both personal and aggressive. Our seasoned team of legal, medical and engineering professionals is dedicated to providing quality representation to all clients in all cases. We have obtained millions of dollars in settlements on behalf of our clients.